Love for Islam: Religion is very dear to everyone. People are very sensitive about their religion. Some people, however, are more dedicated to their religion than others. Such is the case of Muslims. Muslims around the world have a lot of love for Islam. Their love and devotion have always amused the world. When the love of Allah is enlightened in the heart, then efforts and dedication take the greatest form. Naseem Akhtar: A Pakistani woman has also made news with the love and dedication she had towards Islam. 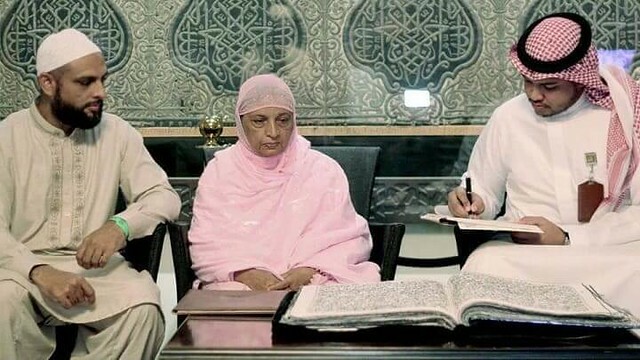 Her efforts towards Islam is a great story of passion and love of 32 years. 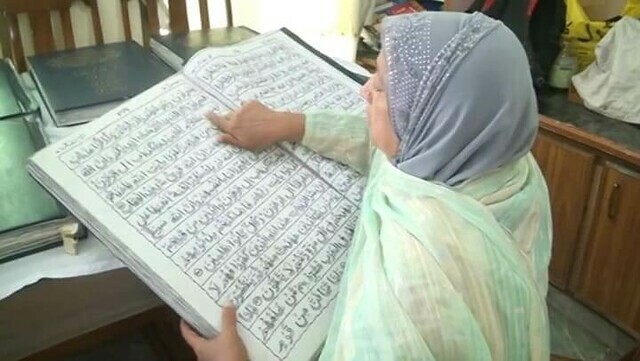 Naseem Akhtar, a lady from Pakistan has received the honor of stitching the first ever Holy Quran. The creation itself is a masterpiece and reflects her hard work and dedication towards Islam. 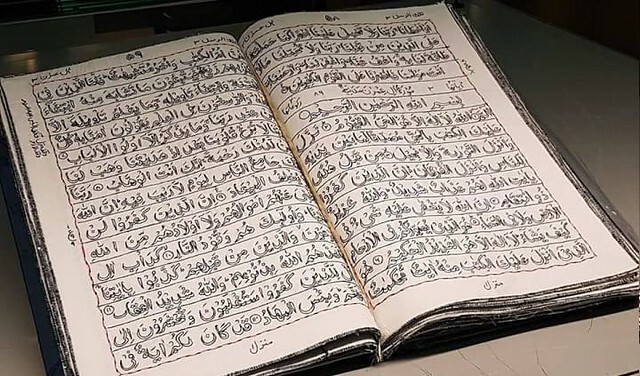 The world’s first every hand stitched Quran: The stitched Holy Quran has a weight of 60 kilograms and is made out of cotton cloth. The lady has used the contrast of gold embroidery with it which marks perfection. The cover page of the Holy Quran has a silk border and she has chosen the same pattern for each chapter. At the initial of each Chapter, she has made a separate cover page. Not only this, she has stitched all the verses of the Quran in lively green color. All her work is handwork and none of it uses the machine. She has not even taken help from anyone else for the very purpose. She has completed all the Quran on her own. The tale of hard work: It took Naseem Akhtar about 32 years to complete the masterpiece. She was a young lady when this idea suddenly strikes her and she did not hesitate in undertaking it. She, however, did not know that the project of hers would take decades to complete. Yet, there is no regret for putting hard work for sake of Allah and Quran. She says that nothing in her entire life has given her this much satisfaction and happiness as much as this work completion has given her. She is thankful to Allah for it. Appreciation by Saudi Officials: Naseem Akhtar, who currently resides in Gujrat was also invited to Saudi Arabia. When the Saudi officials received the news that Khan has written a Quran that is not less than a masterpiece, she was called to Saudi Arabia. The Holy Quran Exhibition: Her epic creation has been placed in The Holy Quran Exhibition of Madina. People can view her creation at the very museum. If you take an exit from Gate 5 of Masjid al Nabawi, you will find it on the left side. She remained in a state of Wudu: She said that she remained in a state of Wudu (Ablution) for the very task and would avoid public gatherings. This is her independent creation. She is happy to have donated the copy of her hand-stitched Holy Quran in the museum of the Holy city. Her family is proud of her hard work and her dedication to Islam.